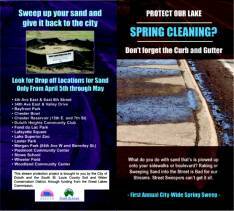 Each year Duluth applies as much as 10,000 cubic yards of sand for winter traction. That’s more than 20,000 tons of fine sediment that we don’t want to pollute our streams. 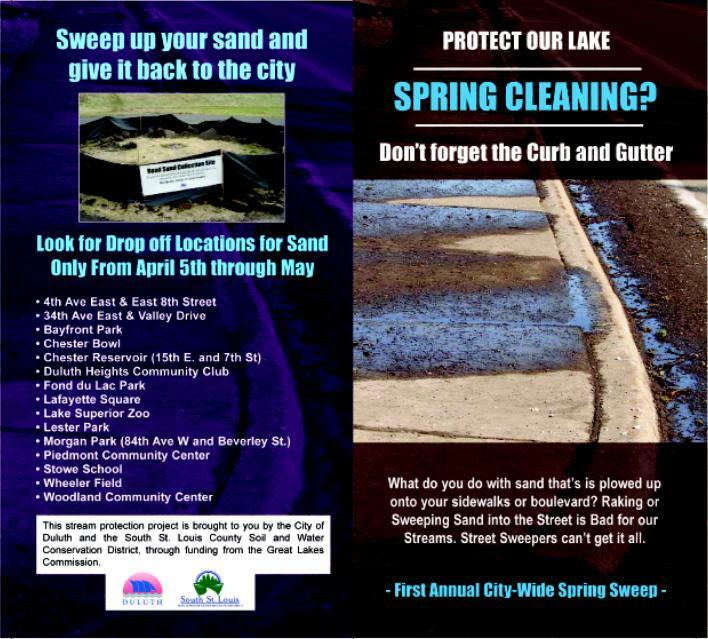 Street sweeping can remove a lot of it in the spring before rain flushes it into storm drains but citizens can make a difference also by sweeping it up and disposing of it on their property, or participating in the City’s Spring Sweep-Up. 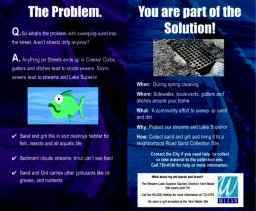 Citizens can also help by adopting a storm drain to help keep them clear of debris –especially in Fall. 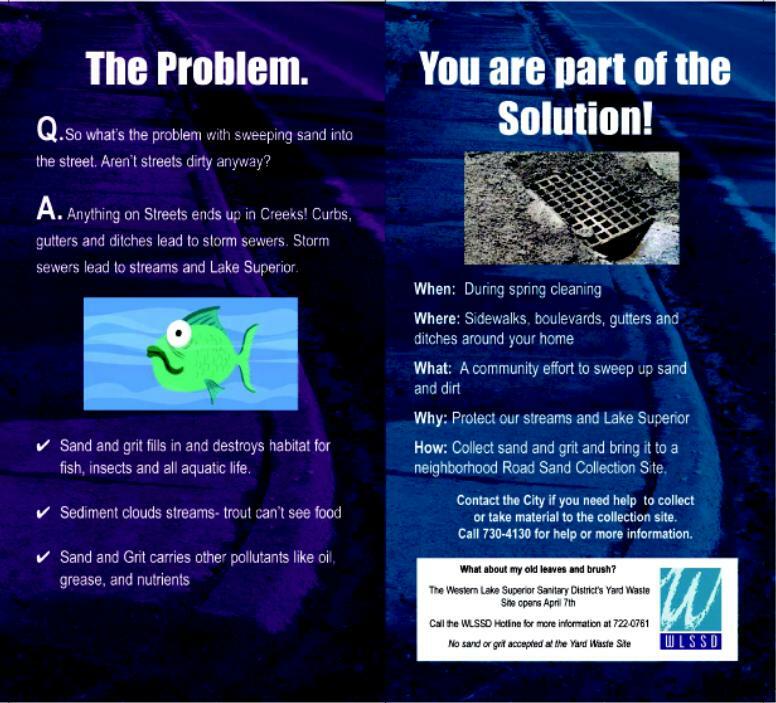 There are over 9000 in Duluth alone and its an easy task that will help reduce flooding, prevent the debris from polluting the streams and save $$.